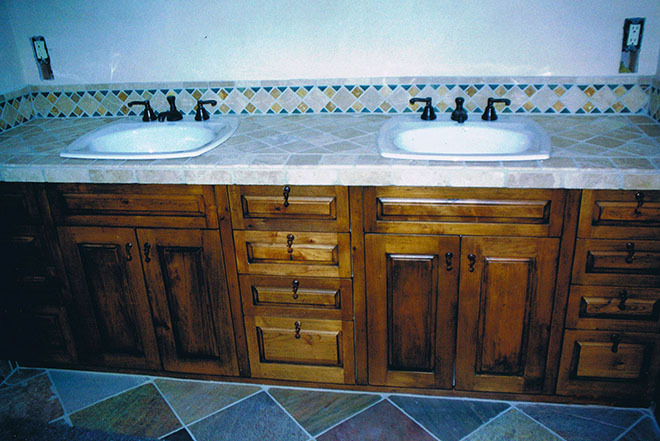 Wood stain is a very popular finish and when applied by an experience painter the results can be spectacular. Stain consists of a colorant suspended or dissolved in a solvent. The suspension agent can be water, alcohol, petroleum distillate, or the actual finishing agent such as shellac, lacquer, varnish, or polyurethane. 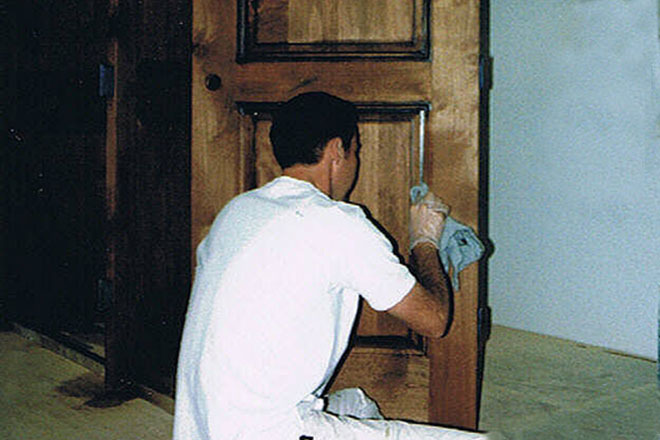 Colored or 'stained' finishes do not penetrate the pores of the wood to any significant degree and will disappear when the finish itself deteriorates or is removed intentionally. Two types of colorants are used, pigments and dyes. The difference is in the size of the particles. Dyes are microscopic crystals that dissolve in the solution. Pigments are suspended in the vehicle and are much larger. 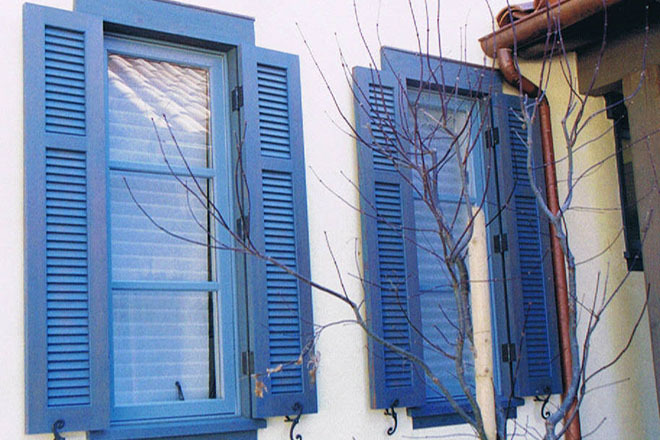 Dyes will color very fine grained wood, like cherry or maple, however pigments will not. Those fine-grained woods have pores too small for pigments to attach themselves to. Pigments contain a binder to help attach themselves to the wood. 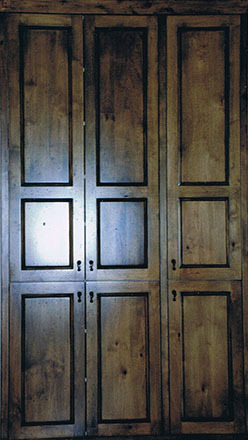 The type of stain will either accentuate or obscure the wood grain and neither is superior to the other. 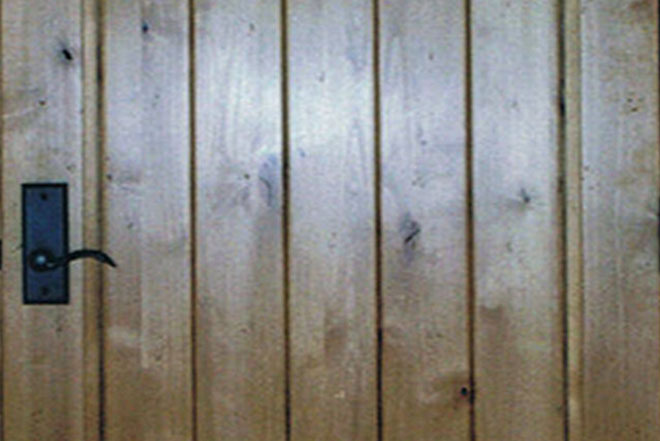 Most commercial stains contain both dye and pigment and the degree to which they stain the appropriate wood is mostly dependent on the length of time they are left on the wood. Pigments, regardless of the suspension agent, will not give much color to very dense woods but will deeply color woods with large pores (for example pine). Dyes are translucent and pigments are opaque. Stain is composed of the same three primary ingredients as paint (pigment, solvent, and binder) but is predominantly pigment or dye combined with solvent and a little binder. 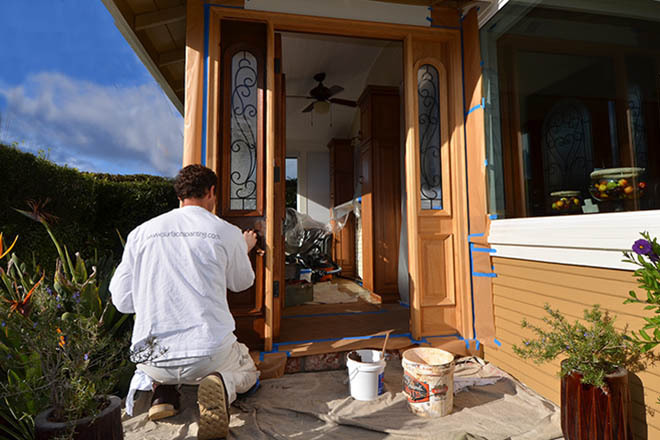 Much like the dyeing or staining of fabric, wood stain is designed to add color to the substrate of wood and other materials while leaving the substrate mostly visible. 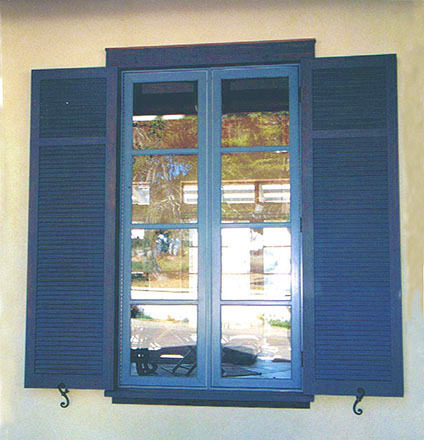 Transparent varnishes or surface films are applied afterwards. 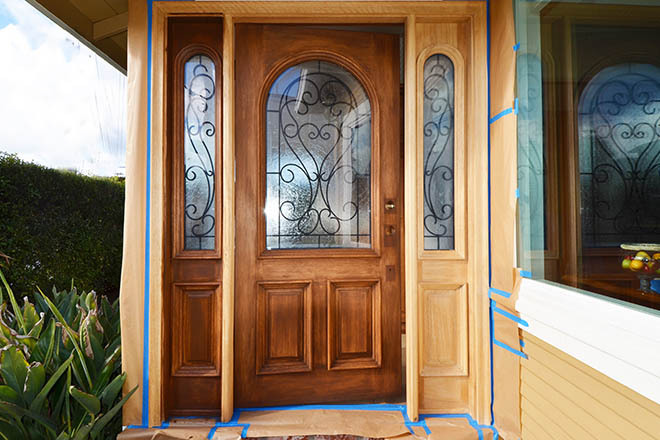 In principle, stains do not provide a surface coating or film. However, because the binders are from the same class of film-forming binders that are used in paints and varnishes, some build-up of film occurs.